I think jellybeans are kind of unappreciated. 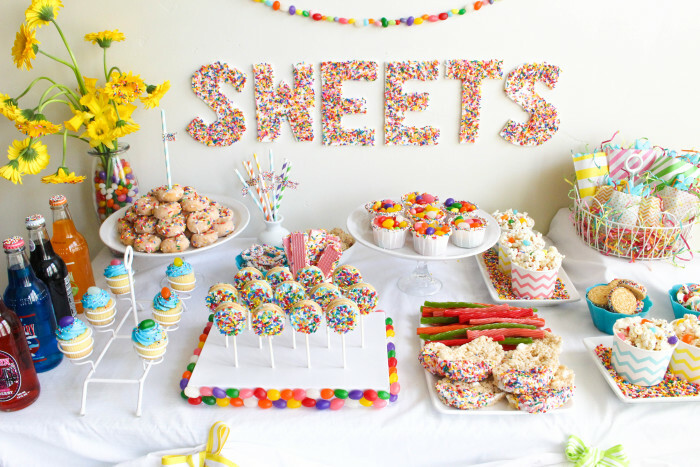 I can totally understand if you don’t like them as a candy but they really are cute, am I wrong? 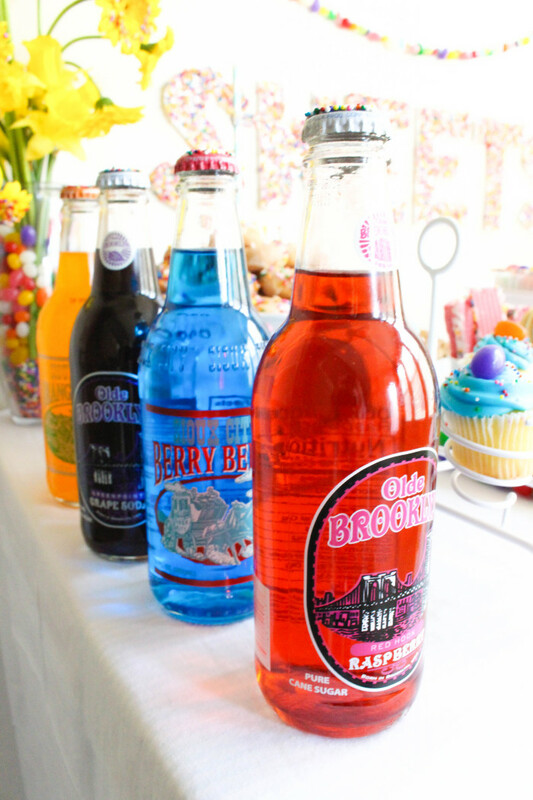 They come in all sorts of colors and flavors and they have that tiny little bend in them that I just think makes them look so jolly. 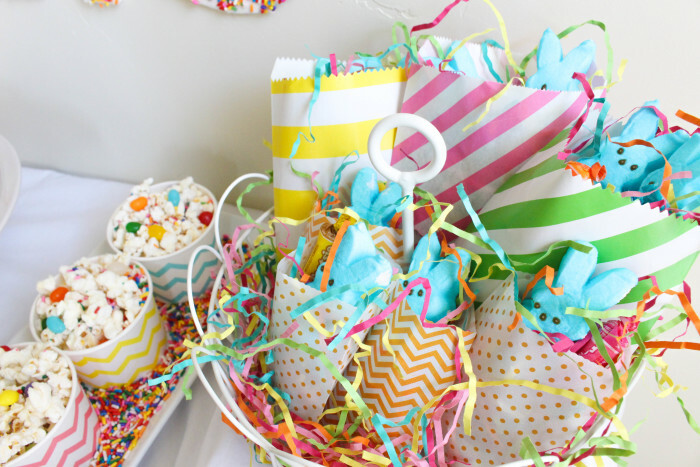 So this year I decided they would be a feature of my Easter celebration! 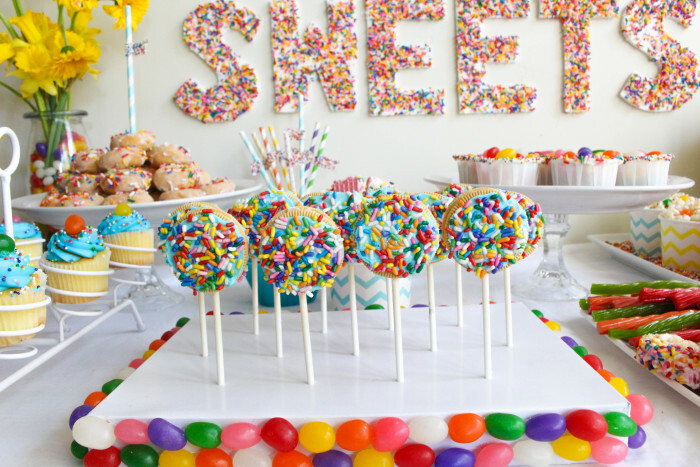 And what’s a similarly colorful and adorable confection? 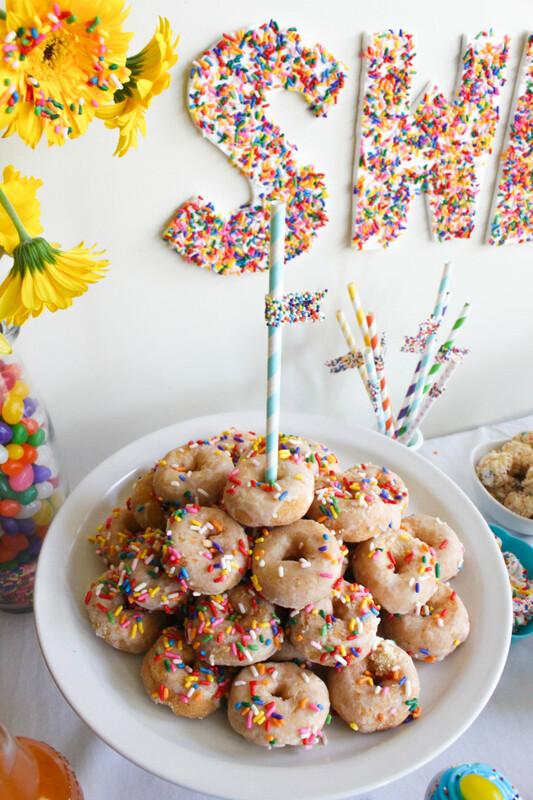 Sprinkles of course!! 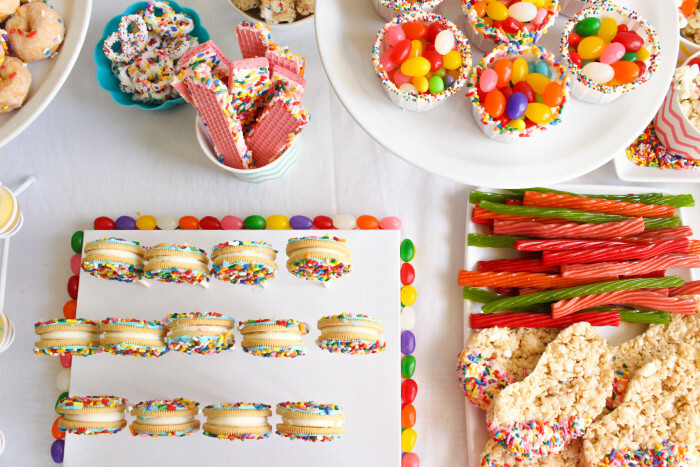 We absolutely love sprinkles here at AJR (we’ve added them to just about everything!) 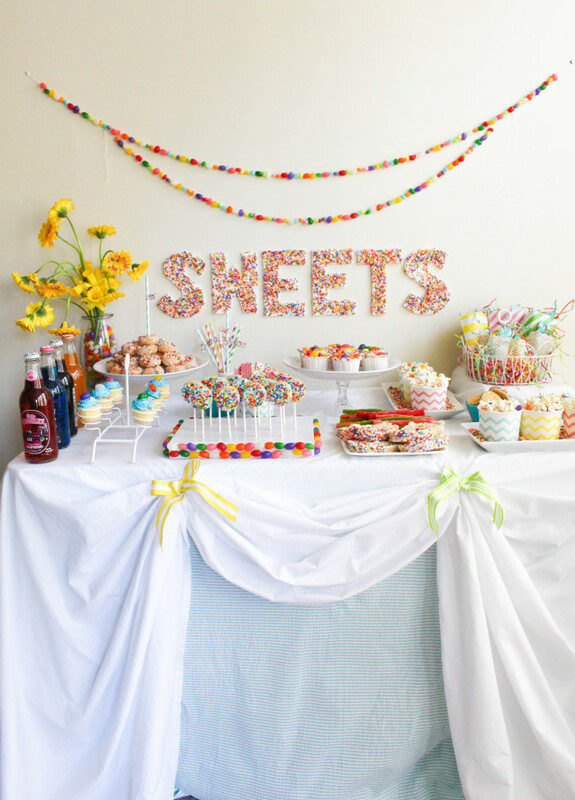 and so I thought they’d be the perfect compliment to my jellybean-featured fete! 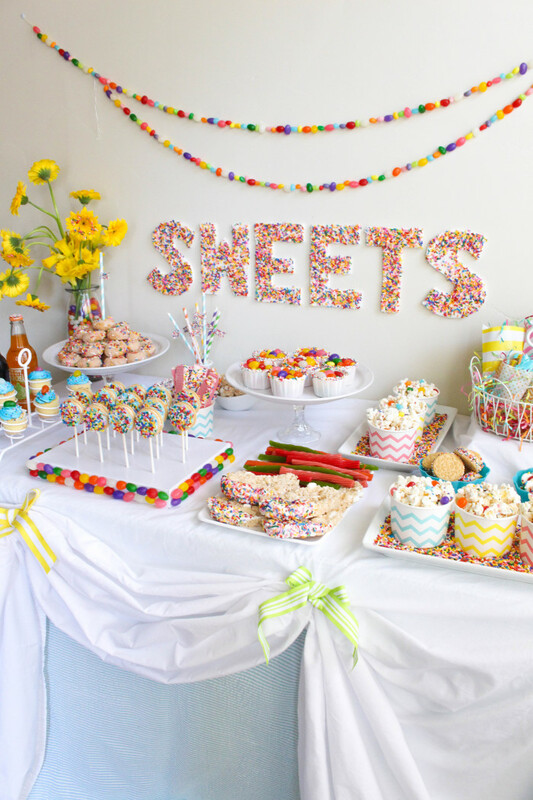 This set up saw tons and tons of sugary, colorful yumminess! 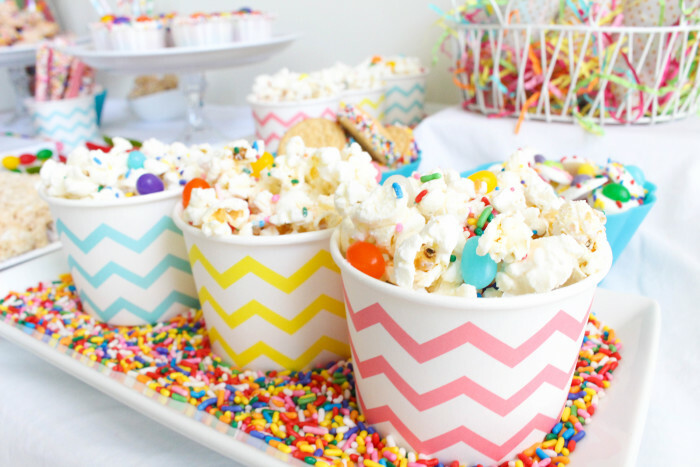 From white chocolate popcorn, to Oreos and even to the soda pops, everything got covered in sprinkles! 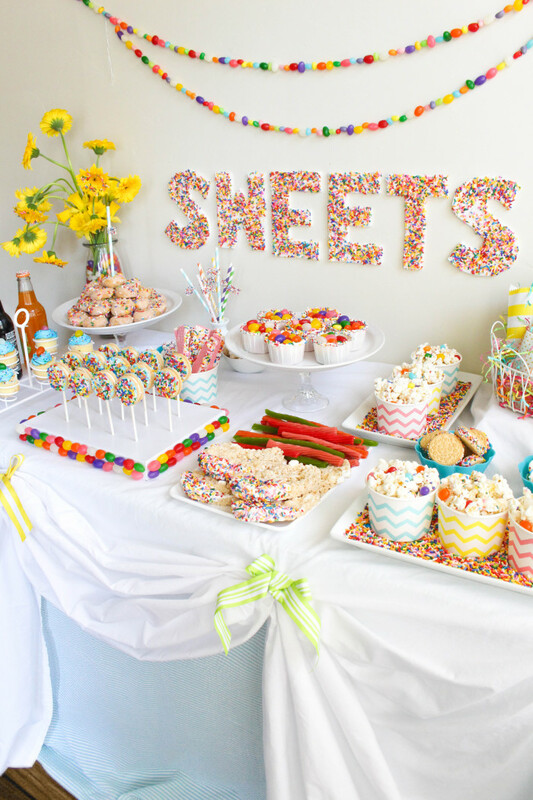 Backed with a fun jellybean garland and sprinkle covered letters, this little table told my guests right where to go to get their sugary fill! Almost all the non-food items I used are from Zurchers! 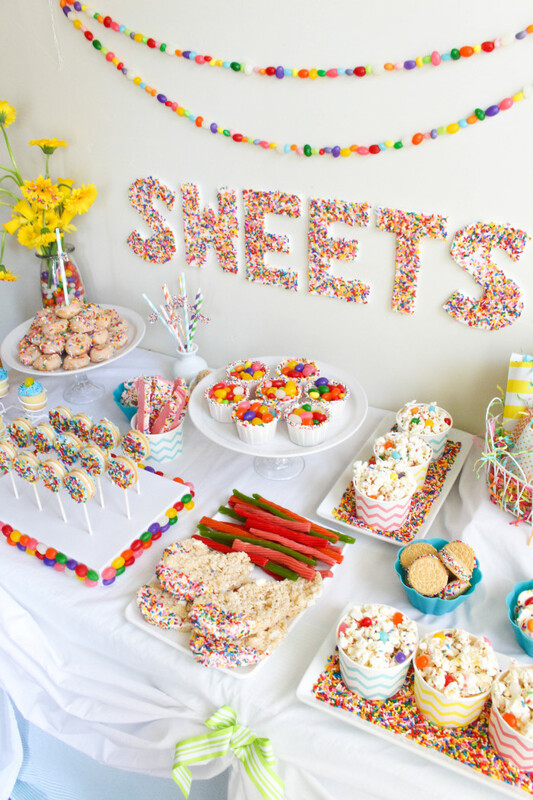 They also have tons of candy (and sprinkles) but I got mine in bulk a long time ago in anticipation of needing them for something of this caliber. 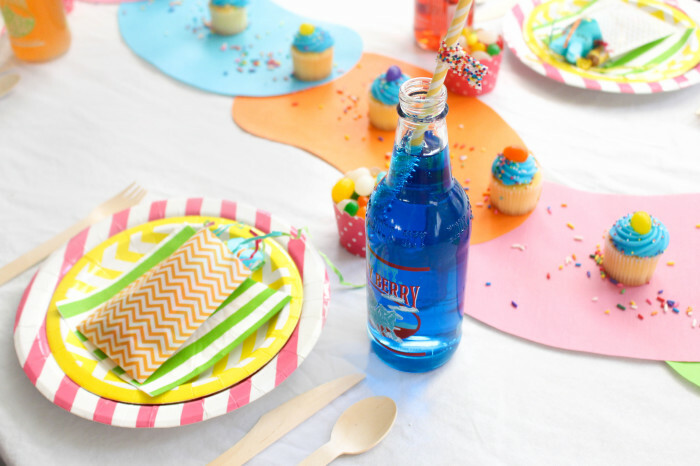 You can find tons of pretty bags, these cute chevron treat cups, the white baking cups, display plates and platters, colored fringe and stuffing and even colored sodas at Zurchers! All the other food I had was really simple and really affordable, I’m no chef! 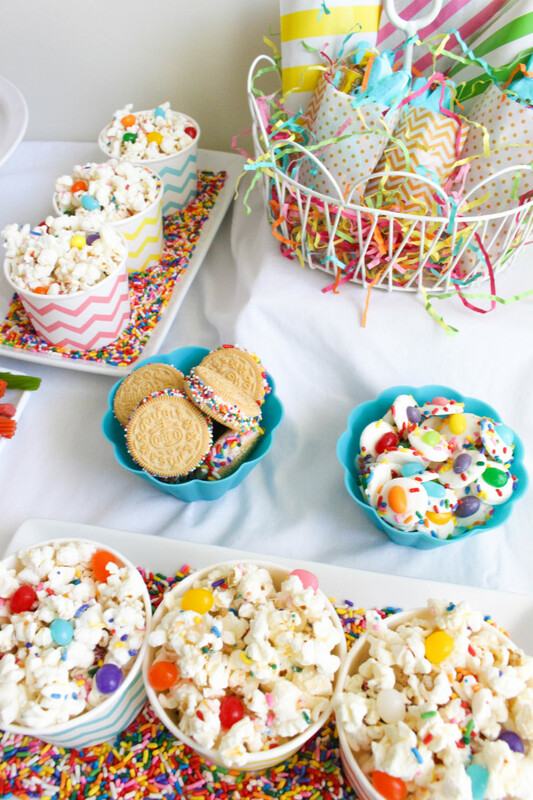 Basically a can of frosting, a bunch of sprinkles and jellybeans and any pre-packaged treat will give you something adorable to feature at your sprinkle-covered party! 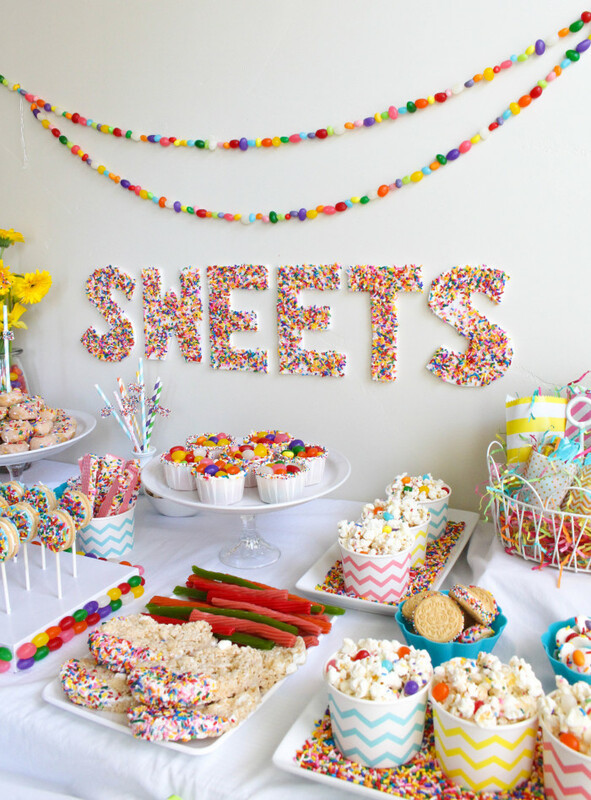 And if you want to make food signs to accompany your treats, follow our sprinkle silhouette tutorial! 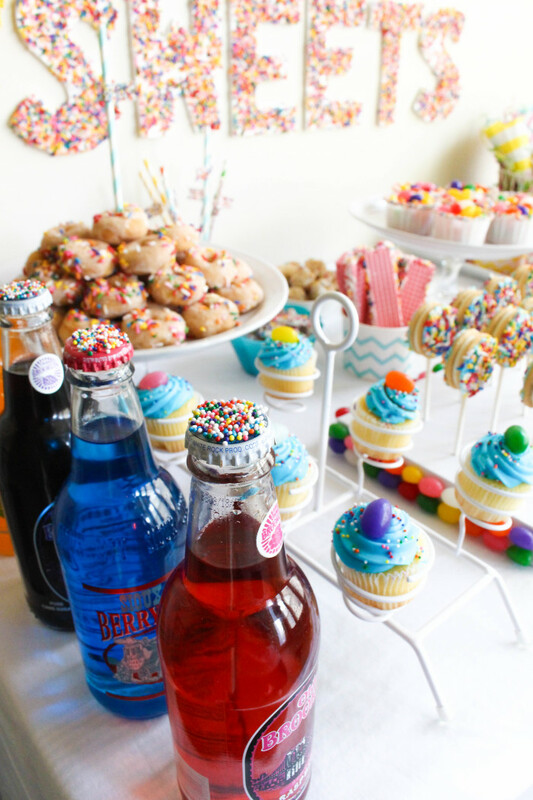 For our place to sit and enjoy all our treats I set up another colorful table! 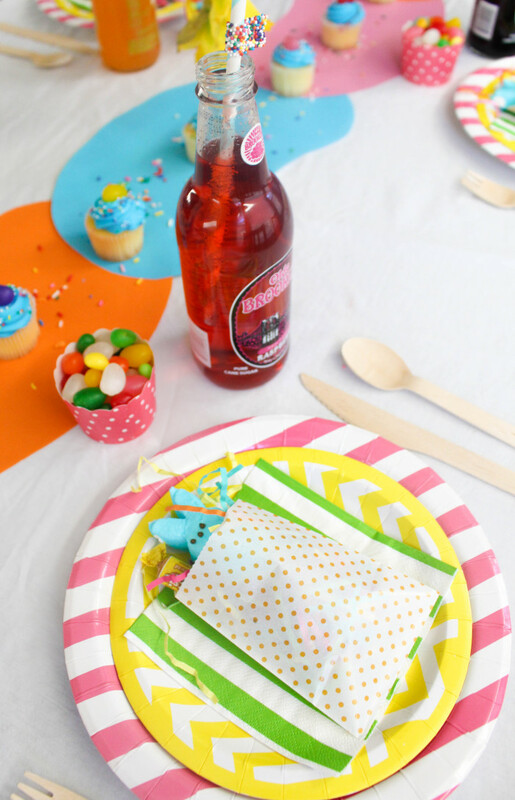 Zurchers has all these adorable patterned plates, napkins (and everything else you can imagine needing for a party) in every color! 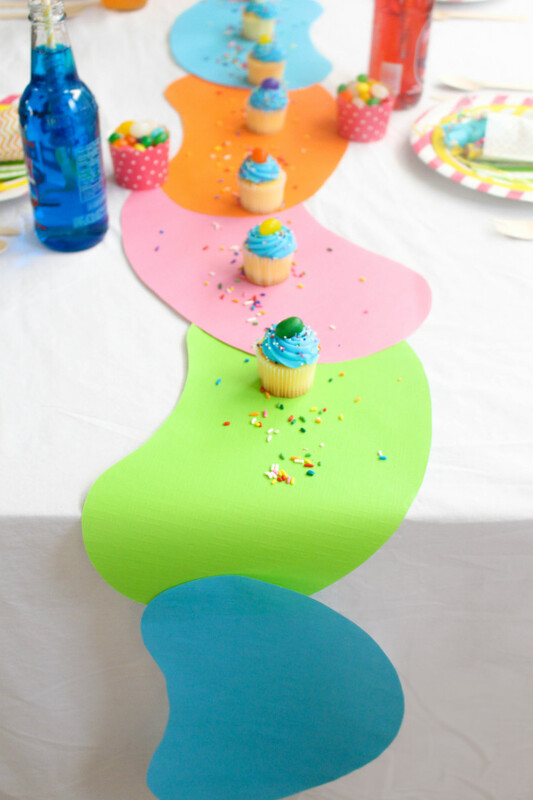 I created a fun little jellybean table runner using paper placemats (from Zurchers of course!) 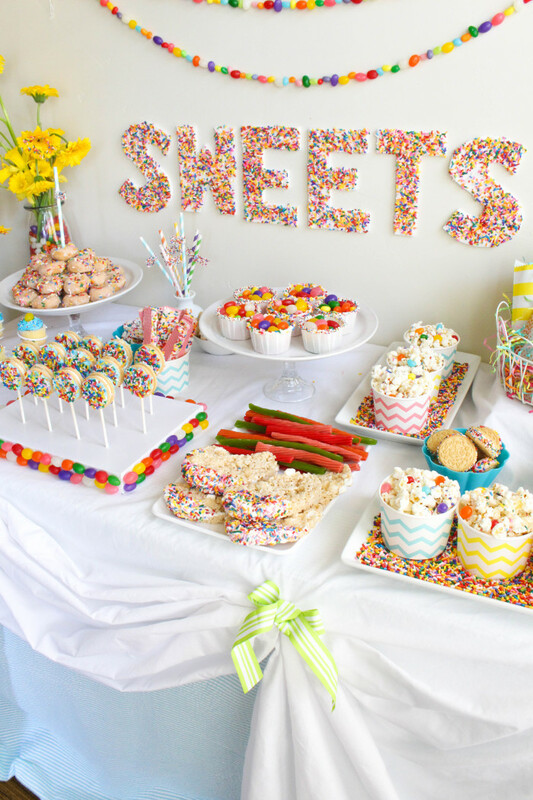 and filled the table with sprinkles to match every other sprinkle covered detail. 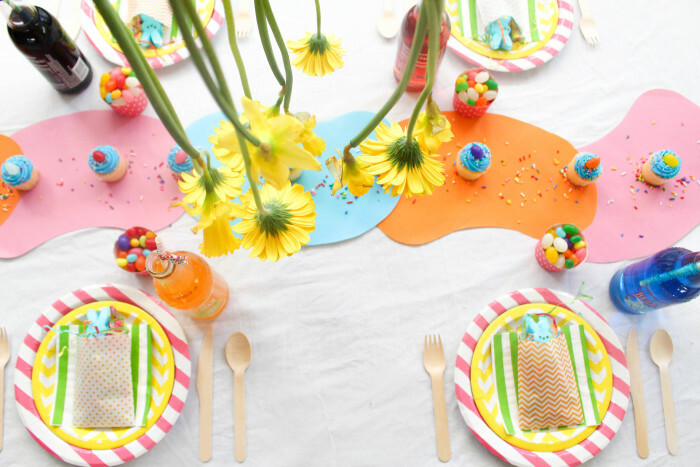 I loved having an Easter party that used a few non-traditional Easter colors. 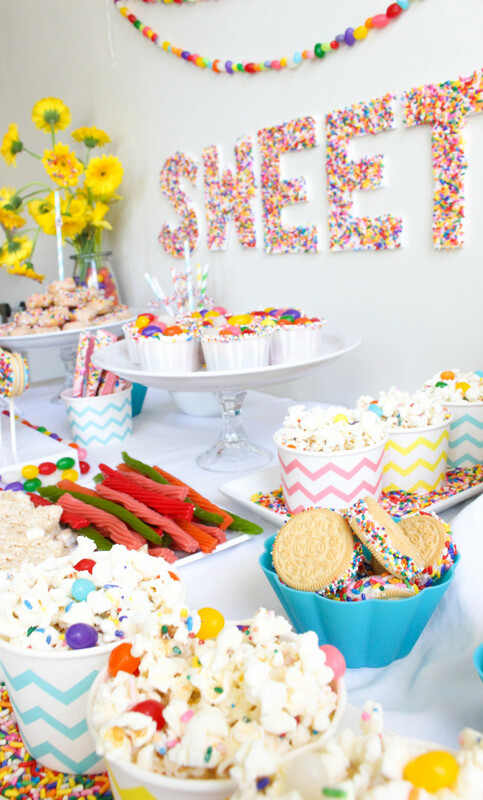 I love the pastels but taking some inspiration from the more bright and colorful jellybeans this year I think was a great idea! 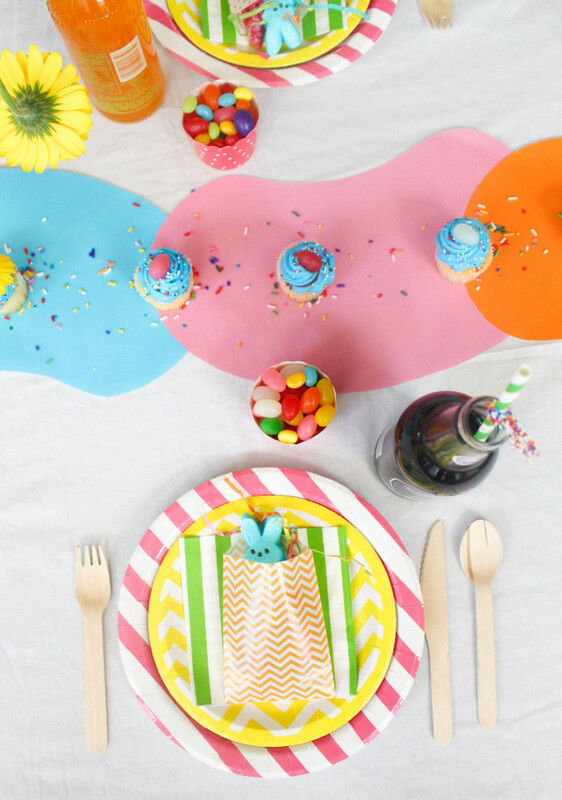 What kind of Easter theme and colors are you employing this year?